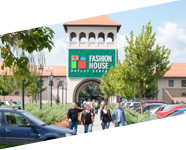 FASHION HOUSE Outlet Centre Moscow enters 2018 with an additional leased area of 1,258 sqm. The scheme’s impressive portfolio is enriched by renowned international and local brands: Under Armour, Paul Smith, Dino Ricci, Choupette and Milavitsa. In addition, Time Kids shapes leisure shopping experience, offering children’s entertainment. Under Armour, founded in 1996 by former University of Maryland football player Kevin Plank, is the originator of performance apparel – gear engineered to keep athletes cool, dry and light throughout the course of a game, practice or workout. Under Armour offers product assortment for men, women and youth. 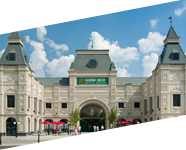 It has opened a store of 523 sqm in FASHION HOUSE Outlet Centre Moscow. Famous for its clothing and accessories collections, Paul Smith specializes in an inventive use of traditional craftsmanship and cutting-edge design to create beautifully made, desirable, modern pieces. The brand created by the Britain’s foremost designer has taken 174 sqm of retail space in the scheme. The next three lease agreements have been signed by Dino Ricci (shoes), Choupette (children’s clothes, sleep nests and outfits for newborns, baptismal clothing, children’s underwear, bedding linens, luxurious furniture and accessories for children’s bedrooms) and Milavitsa (lady’s lingerie). They took 144, 144 and 99 sqm respectively. 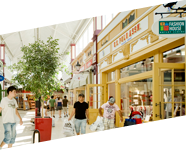 There is an increasing desire from consumers that outlet centers should offer leisure shopping experience. To enhance the proposal of FASHION HOUSE Outlet Centre Moscow in this area, Time Kids occupies a 174 sqm unit, offering children’s entertainment. Meucci, Pinko, Escada, Kenzo, Motivi, Max Mara, Etro and All Seasons Comfort (by Silk & Cashmere). 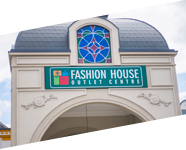 In Moscow FASHION HOUSE Group has implemented its omnichannel strategy, combining brick-and-mortar scheme’s operations with the first online outlet centre in Russia.